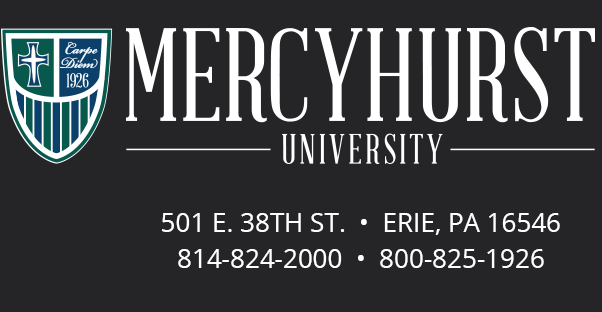 Mercyhurst University Giving Day is a one-day online fundraising drive that takes place on May 7, 2019. It is a day for alumni, parents, and friends to come together and help support the Mercyhurst Annual Fund. We are lucky to have a group of Trustees who have agreed to match Giving Day contributions up to $50,000. A very special thanks to our Trustees who have contributed to the Giving Day match: Stephen Fiedler ’85, John Langer ’95, and Desmond McDonald. This is an incredible opportunity for Mercyhurst– an easy way to double the impact that your gift can make on our campus! Giving Day is also a little different in that we are placing emphasis on the Mercyhurst Annual Fund. Thousands of donors each year support one particular area of interest – baseball, Biology, scholarships, etc., – but today our focus is on the Mercyhurst Annual Fund and supporting ALL areas of interest. Great question! The Mercyhurst Annual Fund (MAF) is an unrestricted fund that helps support literally everything we do as a University. The funds help support the school’s operational budget, and helps fund everything from student scholarships to student-faculty research to funding our athletic programs. Without question, the MAF has the single greatest reach of any fund on our campus, and your gift to the MAF can make an incredible impact on our campus. Who Can Participate in Giving Day? Anyone! Everyone! While we will be targeting alumni, parents, trustees, friends – truly anyone can participate and have their contribution matched by our generous donor. Simply visit our secure giving form and make your gift in the matter of minutes! Your credit card will be charged immediately upon finalizing your gift. You will be mailed a gift acknowledgment and tax receipt from Mercyhurst University. Absolutely! Mercyhurst uses a Paypal Processor and all compliance regulations linked with it to complete your gift transaction. We do not store any credit card information. It is preferred that gifts be submitted online. If you would prefer to give through another vehicle, please contact Contact Courtney Olevnik ’08 ‘13M at colevnik@mercyhurst.edu or 814-824-2246. All gifts must be postmarked by May 7 in order to be eligible for the dollar for dollar match for our Giving Day 2019. The biggest way you can help (other than giving :)) is by spreading the word about the challenge! We hope that you will use our hashtag #hurstgivingday via social media. We also have a Social Media Kit where you can download some images to use on your social media accounts to help spread the word. Be sure to include the link – givingday.mercyhurst.edu – in all your posts! YES! Your donation is deductible to the extent provided by law. Gifts made to all projects featured here are considered charitable contributions to Mercyhurst University. Our Tax ID Number is 25-0965430. Yes. However, it can take several months for employers’ matching funds to reach the University. In the event the match does not arrive before the project deadline, it will be applied to the respective club or organization’s account for future projects. For Giving Day, your employer match will not be eligible for the Giving Day match, but will still be applied to Giving Day totals. Can I Give Via Stock? Sure! Each year donors support Mercyhurst via appreciated securities. To do so, please contact Ryan Palm at rpalm@mercyhurst.edu or (814) 824-3320 to receive instructions that can be provided to your broker. As long as you let us know the stock gift is coming on May 2, the gift will be eligible for the match even if the securities are not actually transferred that day. I Have Questions…Who Do I Call? Please feel free to contact us in the Advancement Office – at alumni@mercyhurst.edu or 814-824-2330.